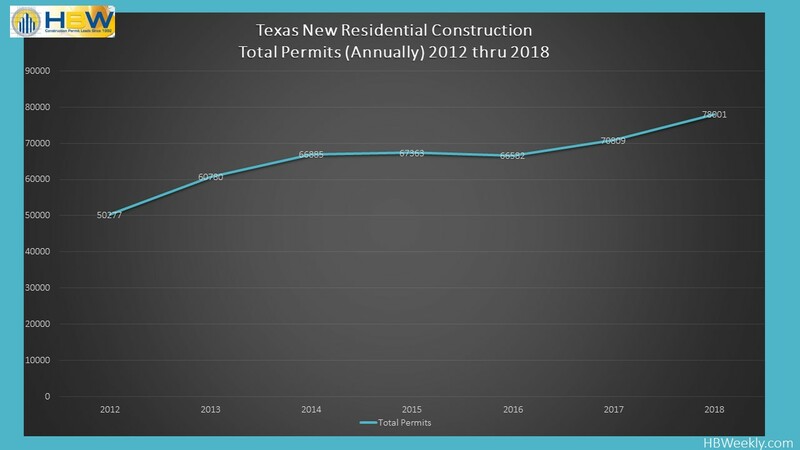 In 2018, Texas maintained its upward trend in new residential construction, having demonstrated a 10% year-over-year increase in housing starts; this will make it the second year in a row that Texas residential construction has exhibited annual increases in housing starts, making 2018 its best year in six years for total new residential construction permits on file with HBW. In the combined major metro areas of Dallas, Houston, Austin and San Antonio, there were more than 78,000 new permits added to the HBW database last year. Out of the four major metro areas reviewed, Houston ranked #1 for total permits; with a 7% year-over-year increase in housing starts, there were nearly 31,620 housing starts on file for Houston, and more than half of Houston’s new home construction took place in Harris County (16,380 permits). Next in line was Dallas – With a 16% year-over-year increase in housing starts, there were approximately 27,540 new residential permits on file for the Dallas area. The counties with the greatest amount of new construction exhibited annual increases ranging from 10% to more than 58% and included Tarrant (7,855 permits, +16%), Collin (7,755 permits, +10%), Denton (5,239, +58.3%). Dallas also continued to reign supreme when it comes to higher value construction (>$500k); with nearly a 15% year-over-year increase in higher value permits, there were approximately 2,300 high value housing starts on file for Dallas last year. 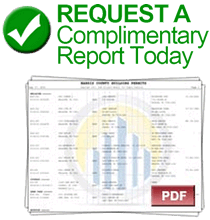 Statewide, there were counties that reflected both growth and held the greatest concentration of new home construction… With a 3.5% year-over-year increase in residential construction, Harris County (Houston) ranked #1 for total housing starts (16,380 permits), while Denton County (Dallas) took top spot for growth with an annual increase of more than 58%. Other counties where new home construction exhibited remarkable annual increases include the San Antonio County of Bexar (+26%) and Montgomery County (+23%) in the Houston area.